Shaving isn’t fun for anyone. We’ve all injured ourselves while trimming our body hair as we are running a razor as close to our skin as possible, and sometimes with little to no sleep. Removing your hair completely via laser is a lengthy and expensive process, so we’re stuck with using a bunch of little blades. Of course, that doesn’t mean that you can’t make the best of your situation. 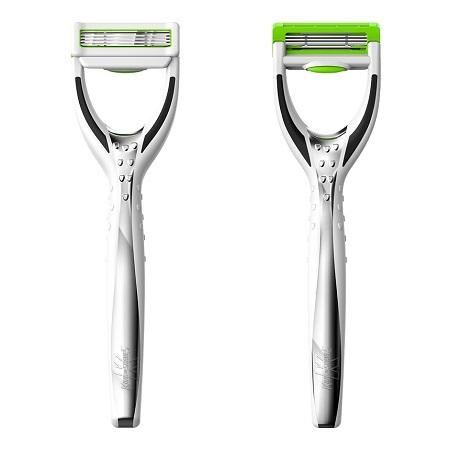 The Hyperglide by King of Shaves is a razor that will make sure you don’t get razor burn while simultaneously giving a smooth shave. It uses a “a unique patented super-hydrophilic self-lubricating cartridge that creates its own slippery HydroGel over the entire front shaving surface when it comes into contact with water”. That being said, you can say goodbye to annoying creams or gels, and not have to worry about any consequences. Using a one-push release button, it will be very easy to replace a used cartridge for a new one. The 5-blade rack is designed to prevent clogging, and the reverse of the cartridge will allow you to trim up problem areas with ease. It is said that this is ideal for sensitive skin, as the technology for this came from a need to reduce friction when putting catheters into arteries. One of these will cost you around $14, and comes with a shower holder that can be kept in place thanks to suction cups. LEGO Batman Key Light kisses goodbye to dark nights!